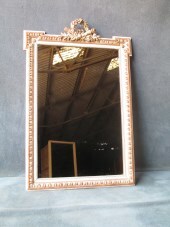 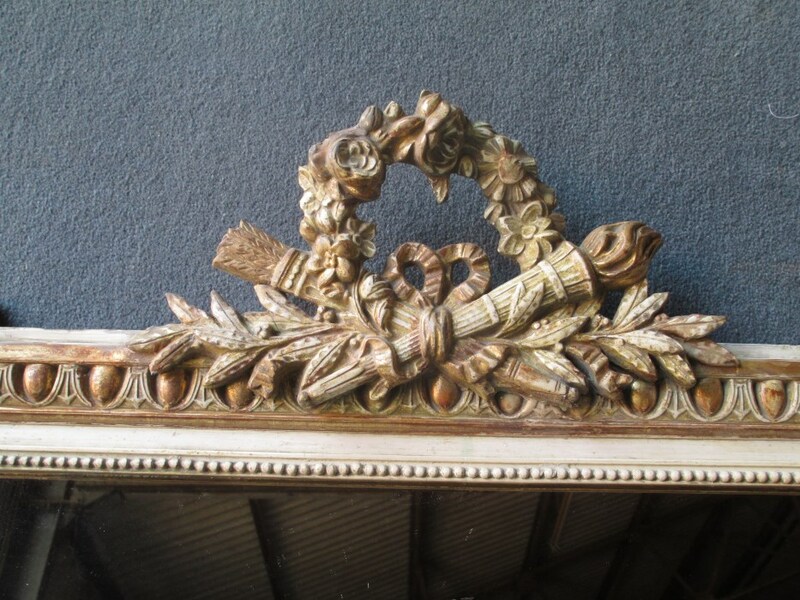 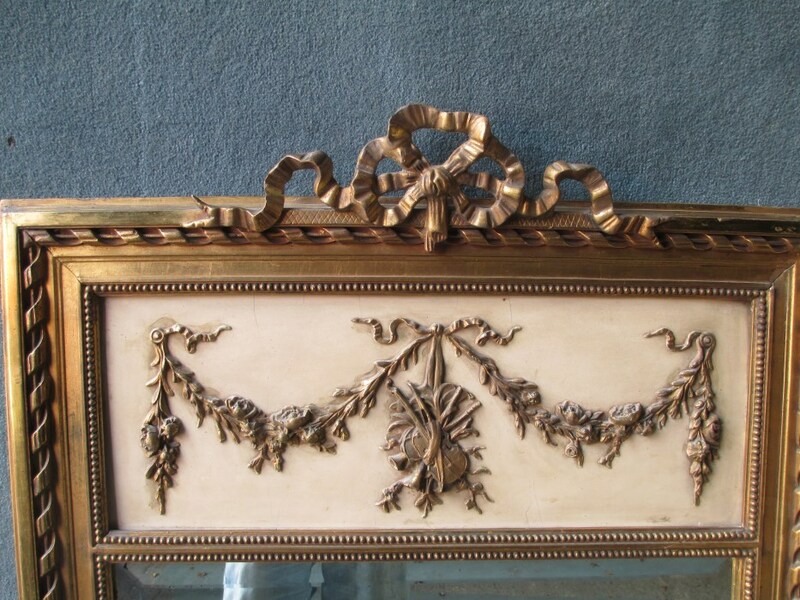 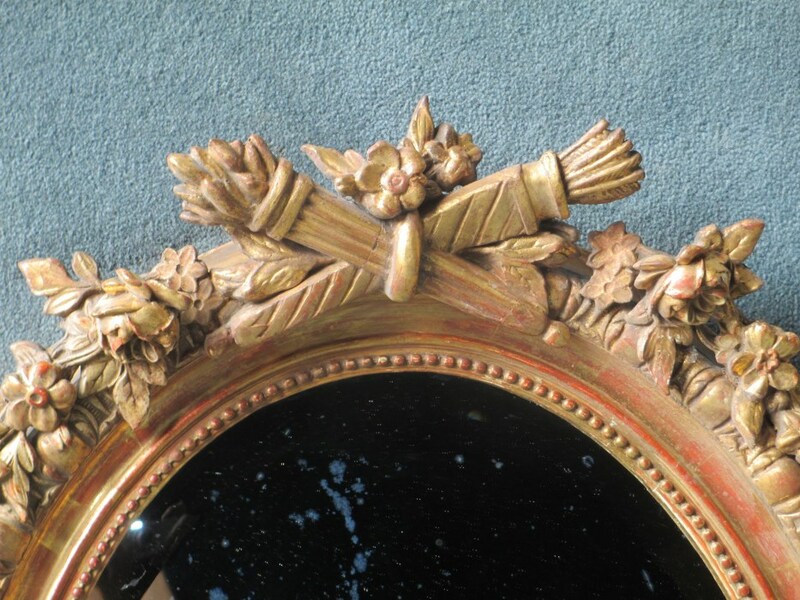 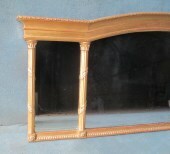 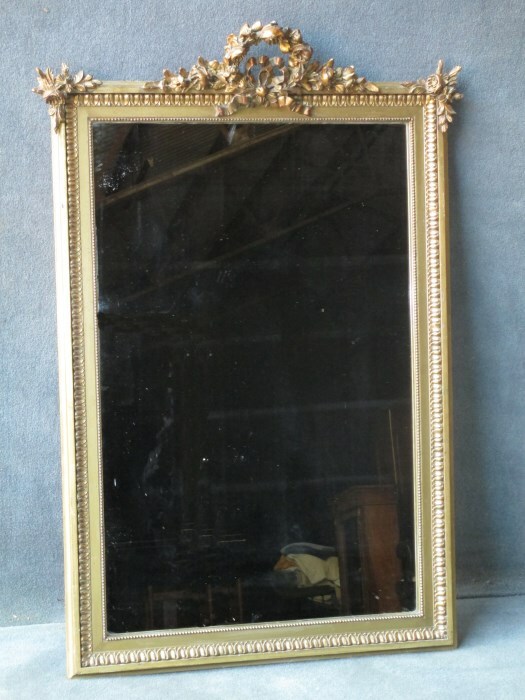 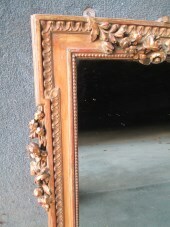 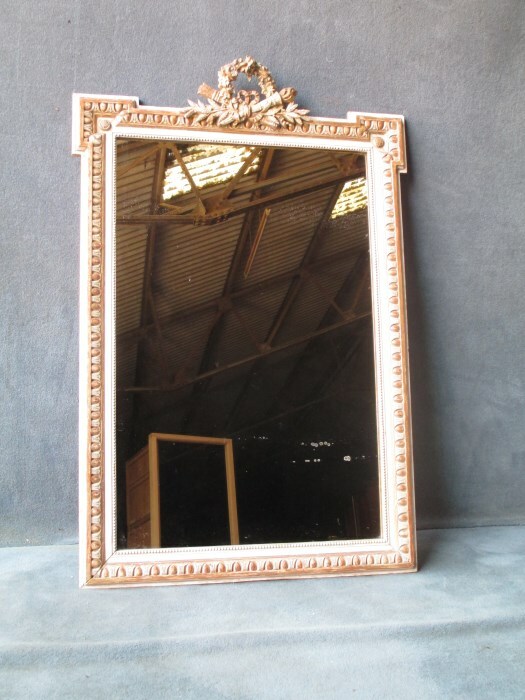 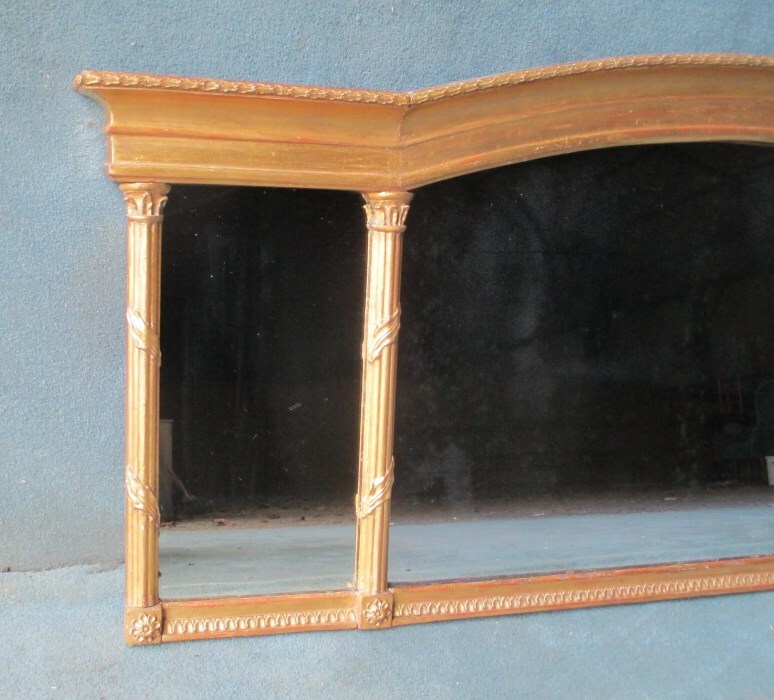 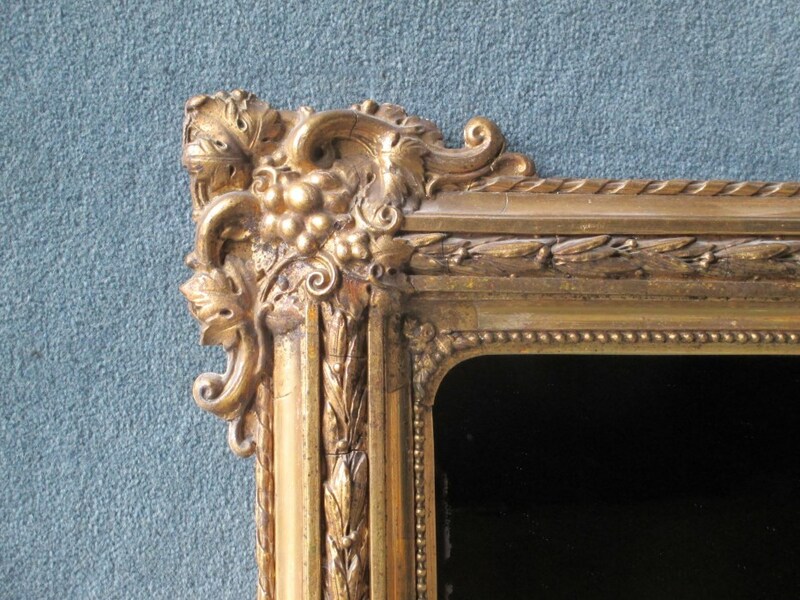 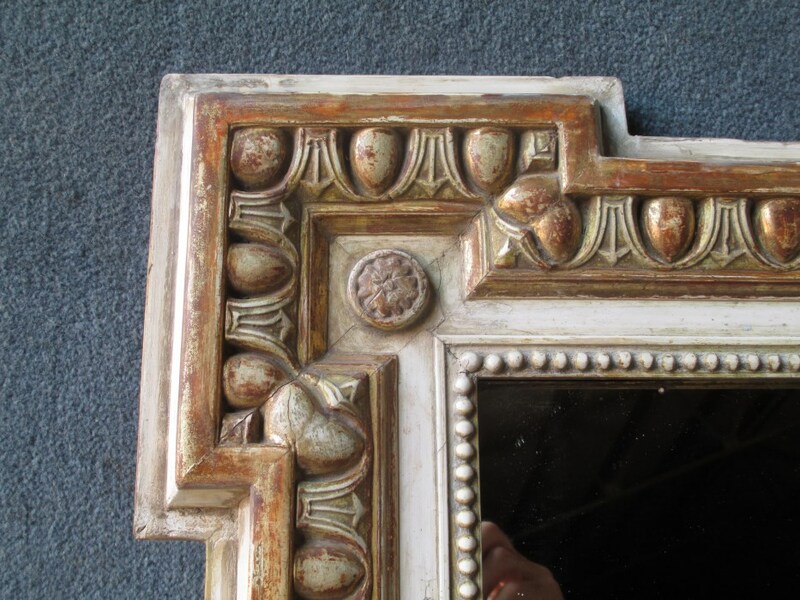 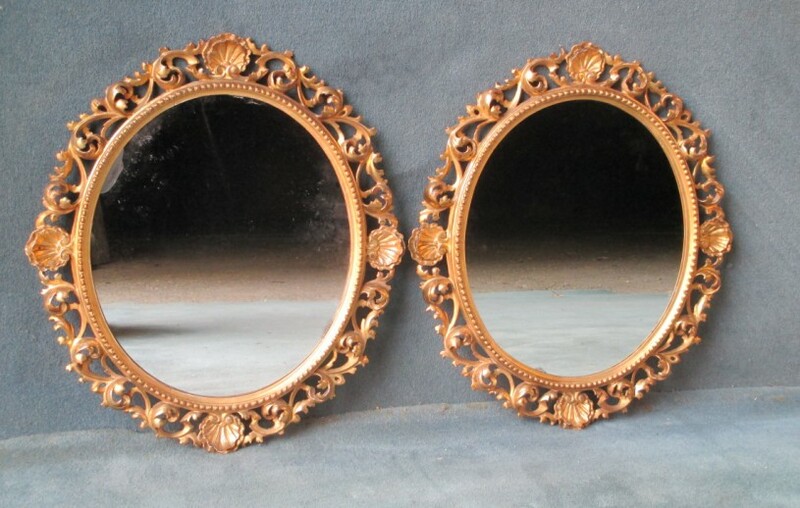 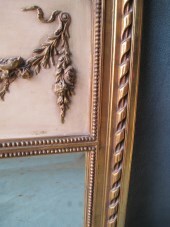 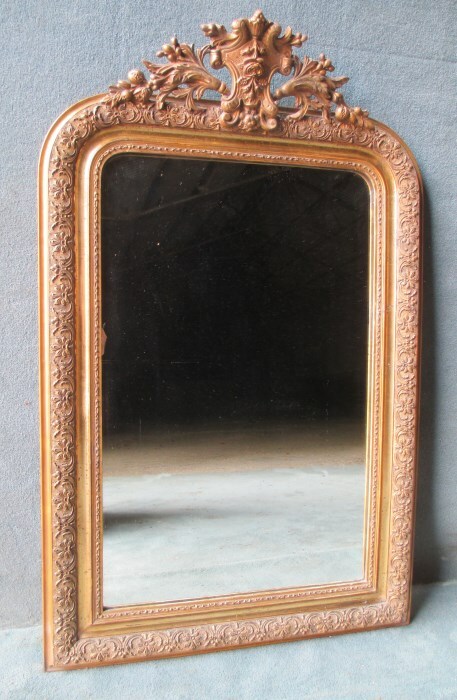 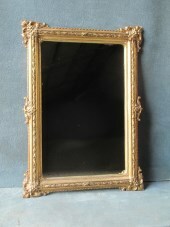 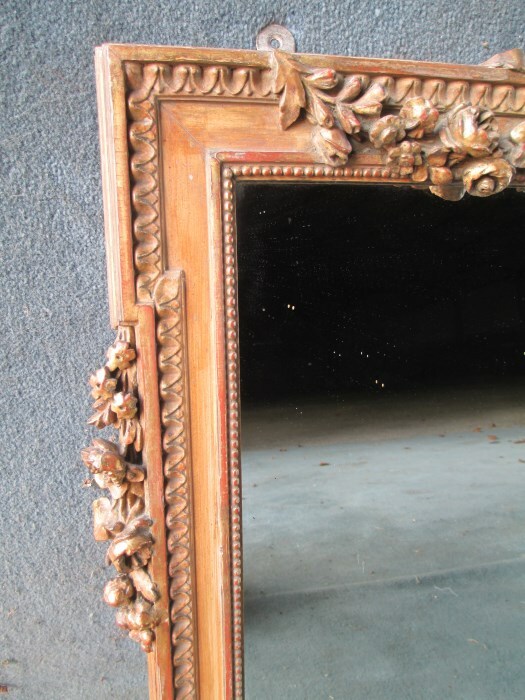 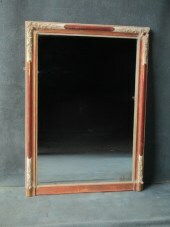 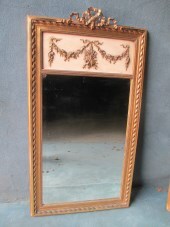 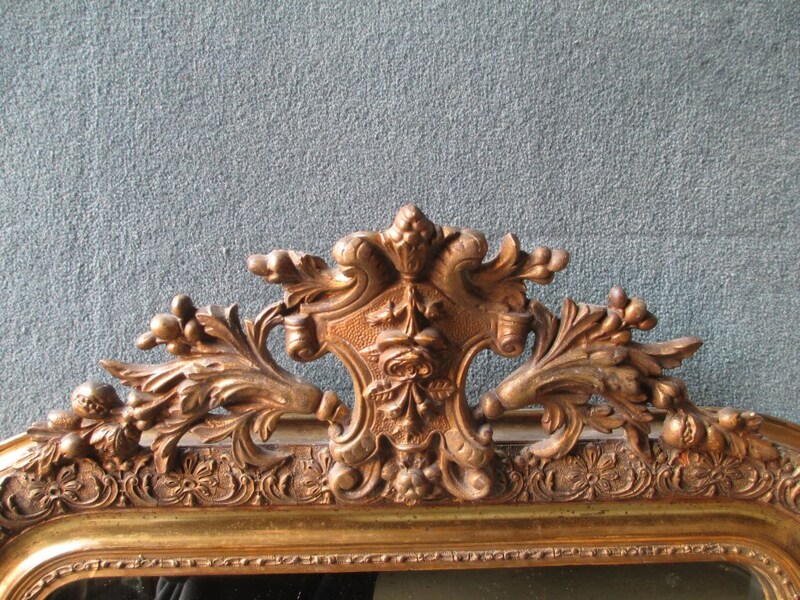 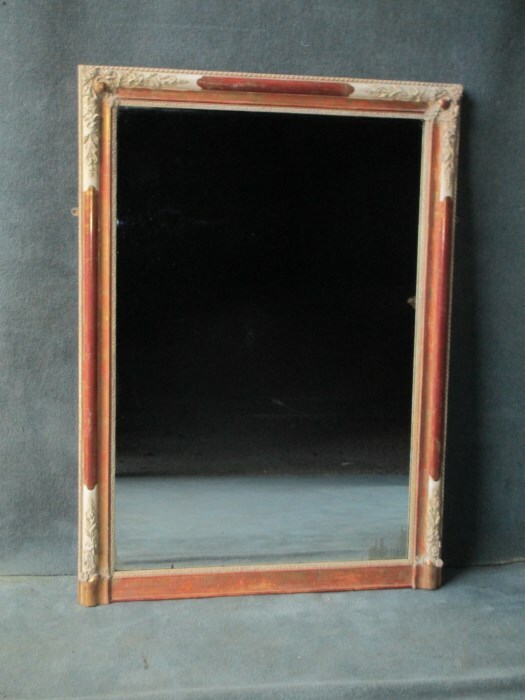 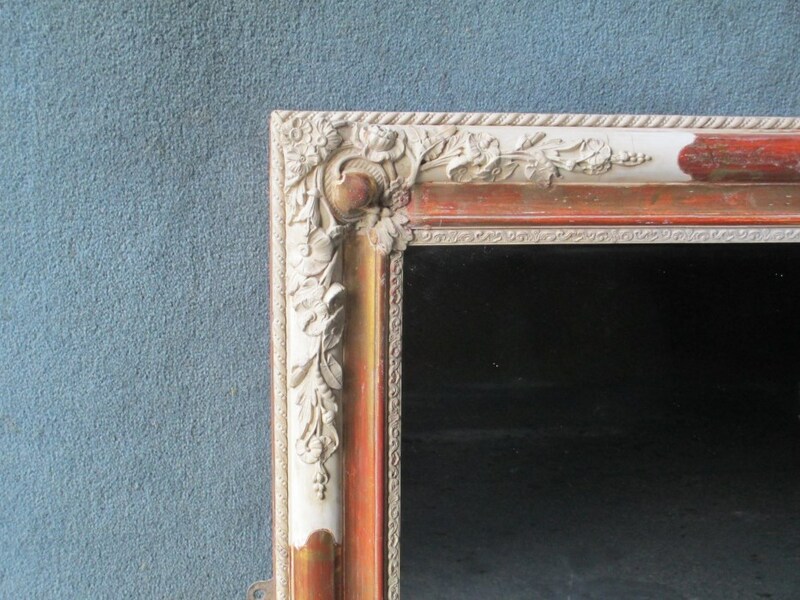 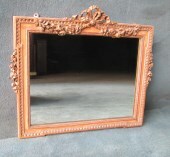 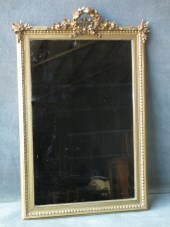 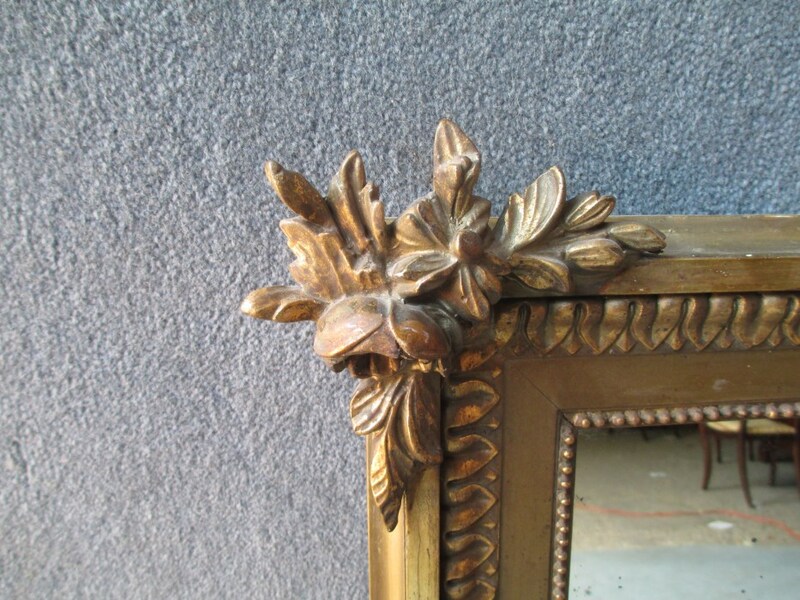 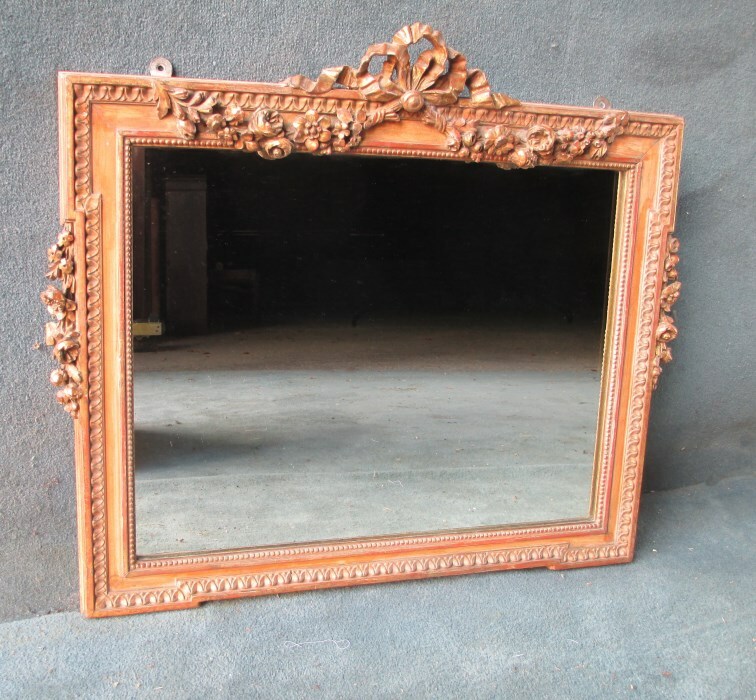 French portrait overmantle mirror with red bole/ burnished gilt and ivory coloured intricately moulded flower corners. Original mirror plate and boarded back. 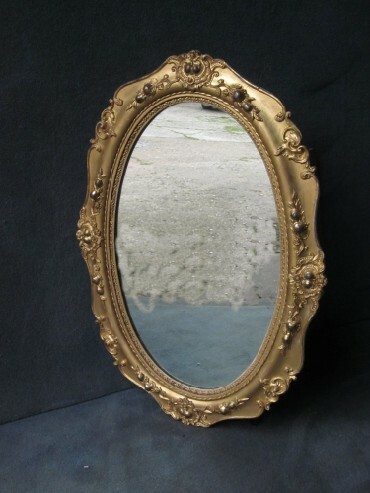 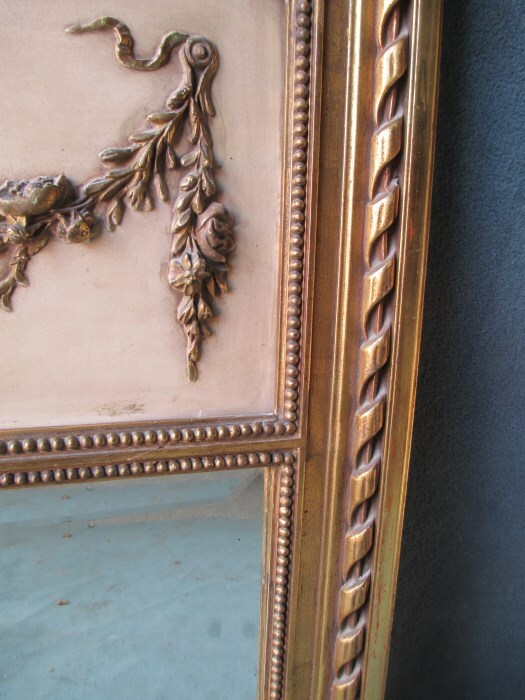 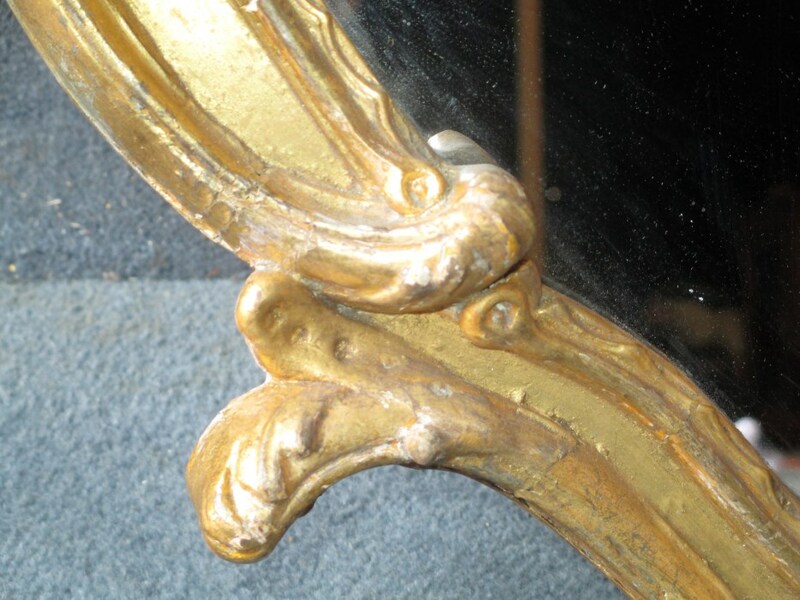 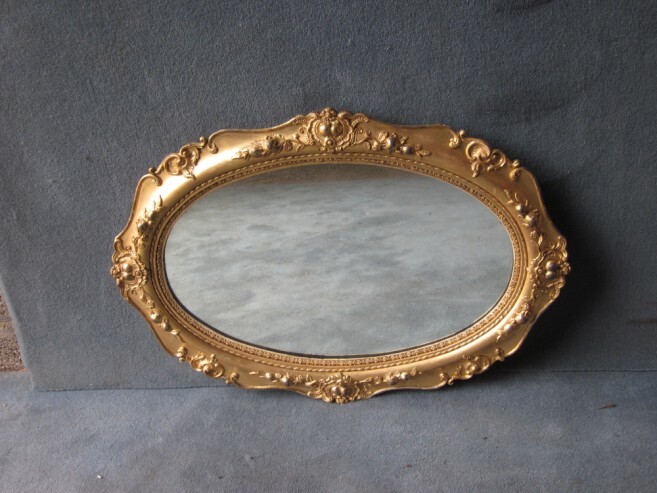 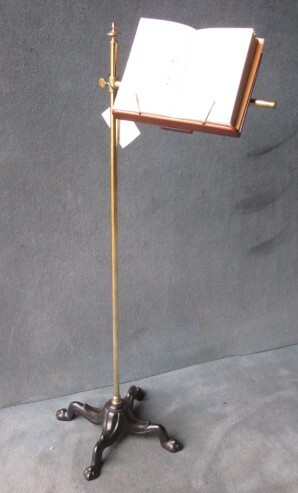 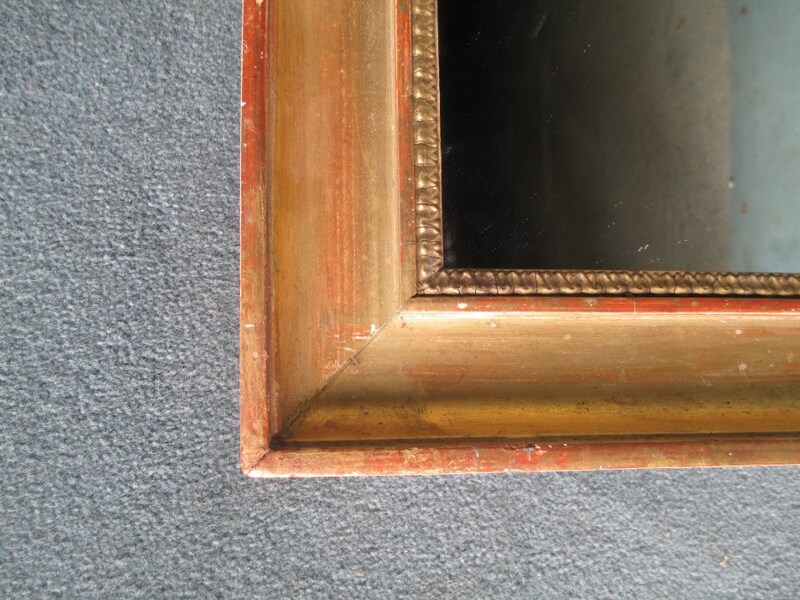 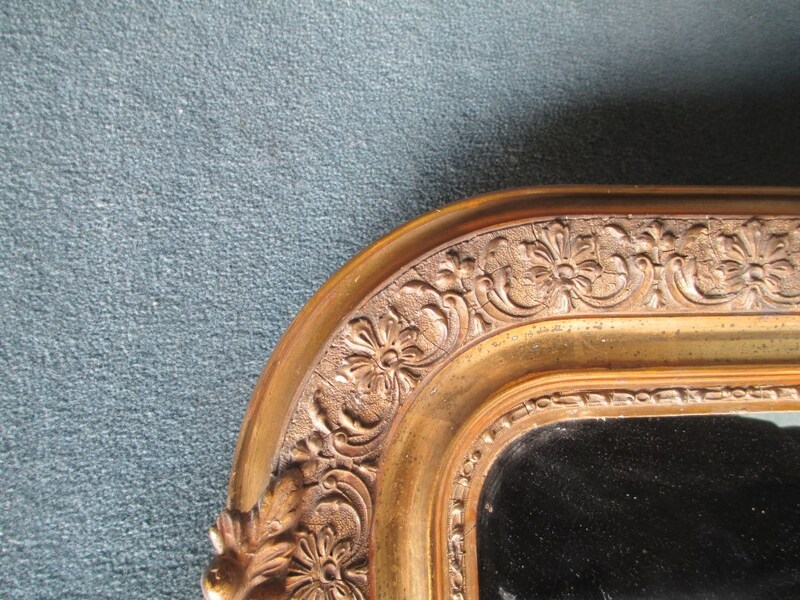 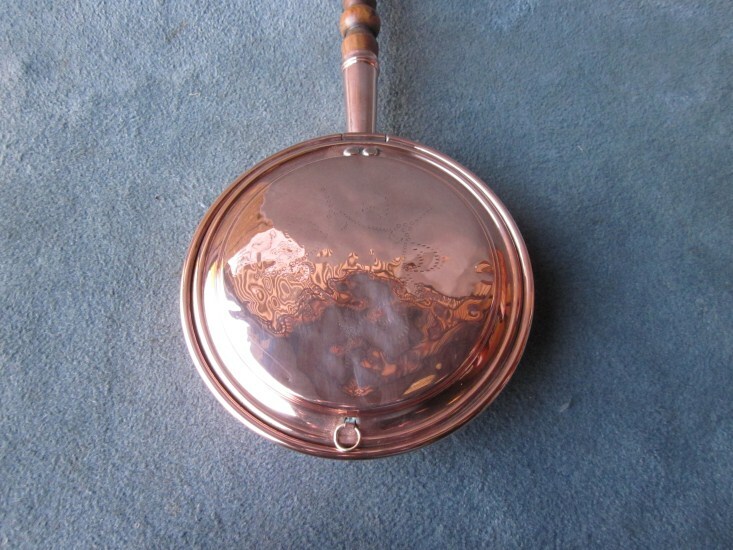 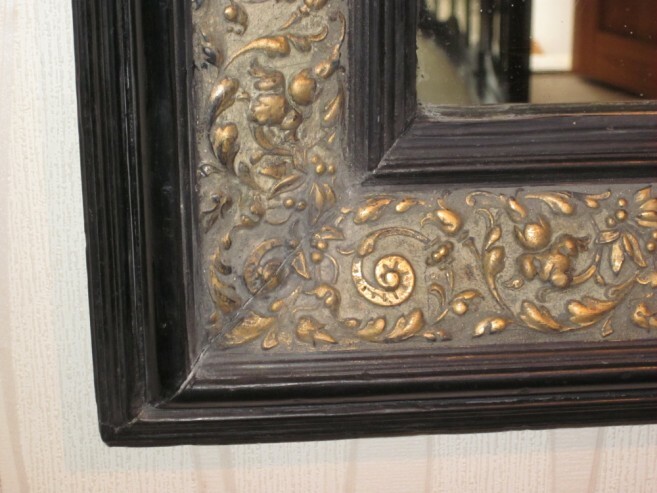 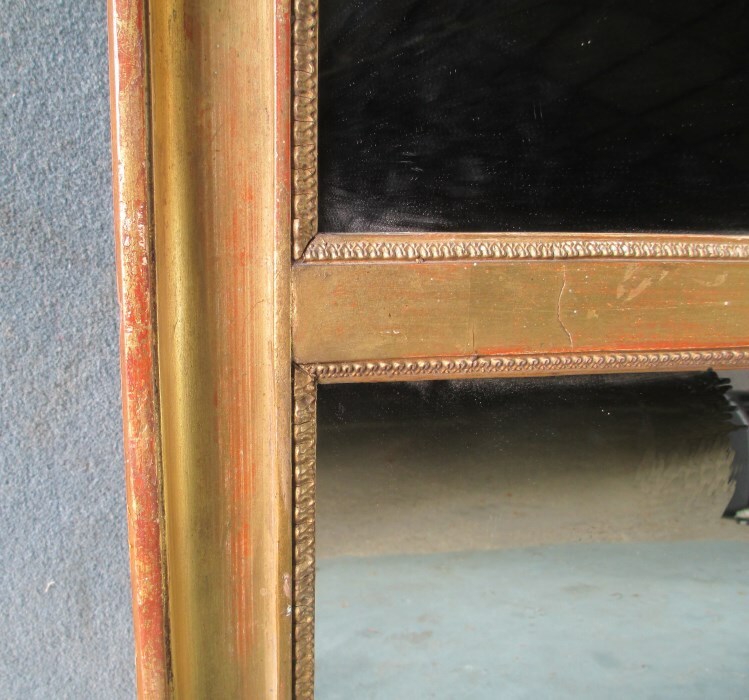 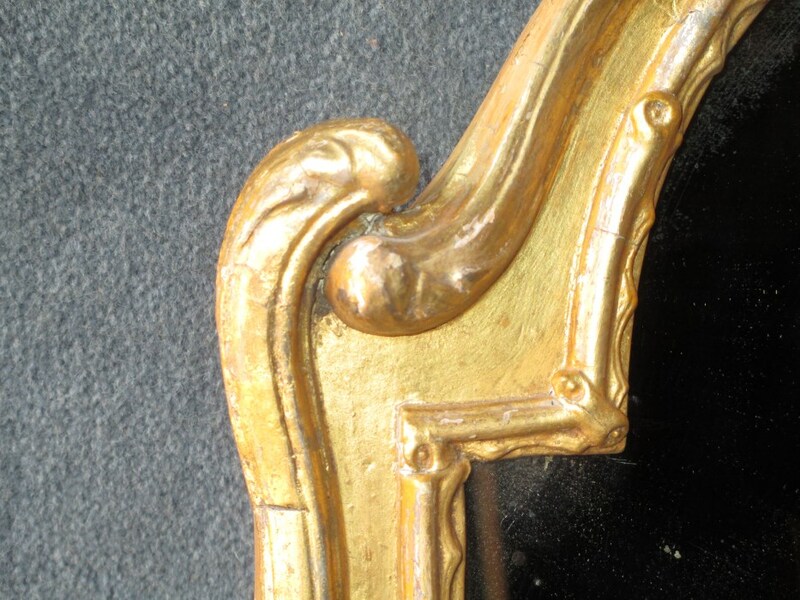 English oval gilt mirror with original bevelled plate. 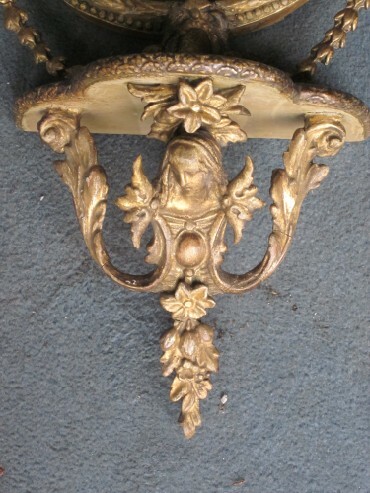 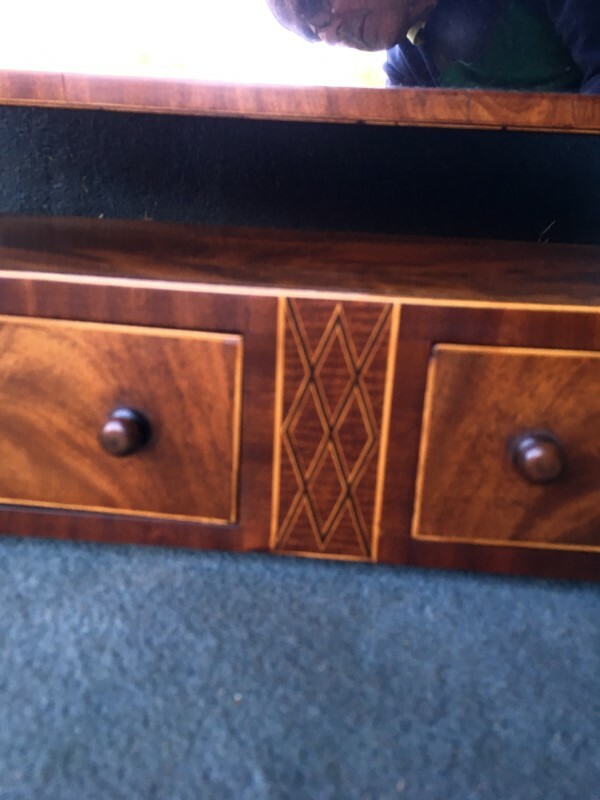 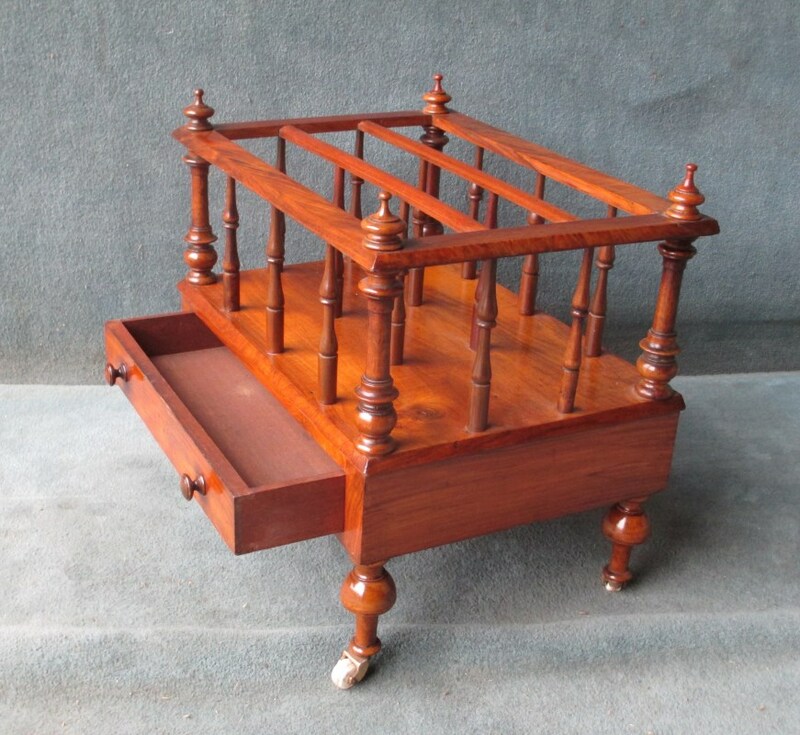 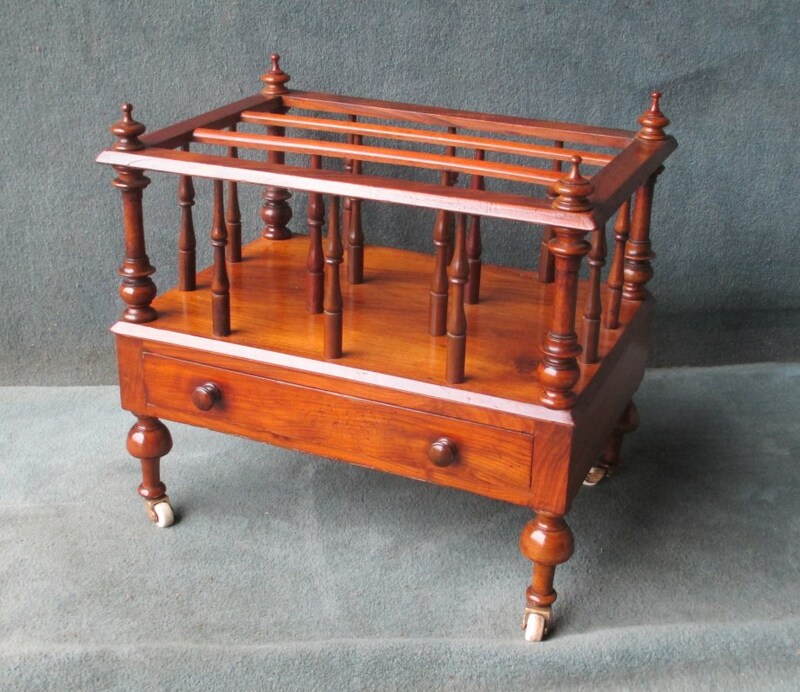 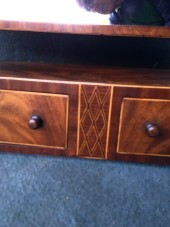 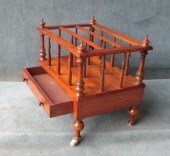 Wired and moulded top and base with flowers and leaves etc. 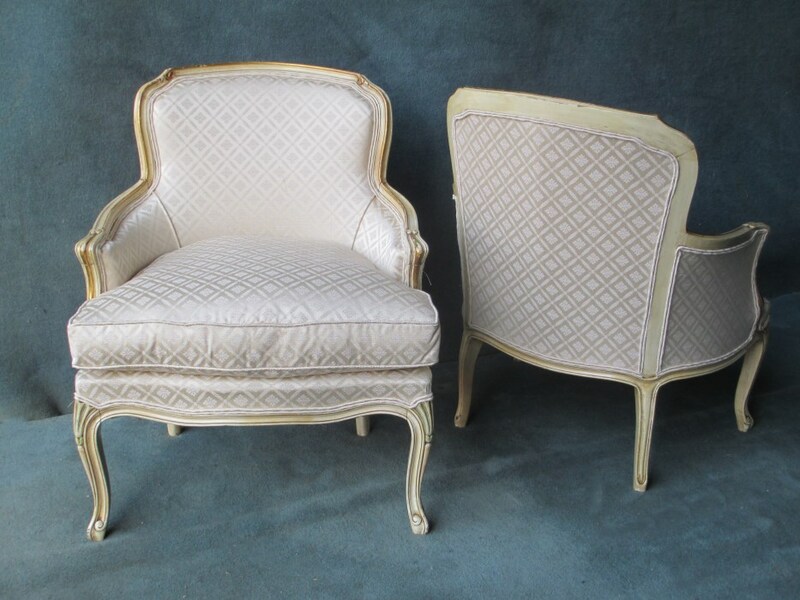 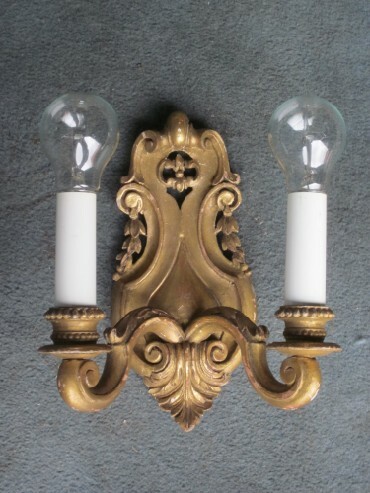 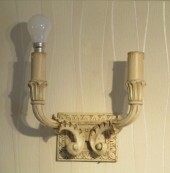 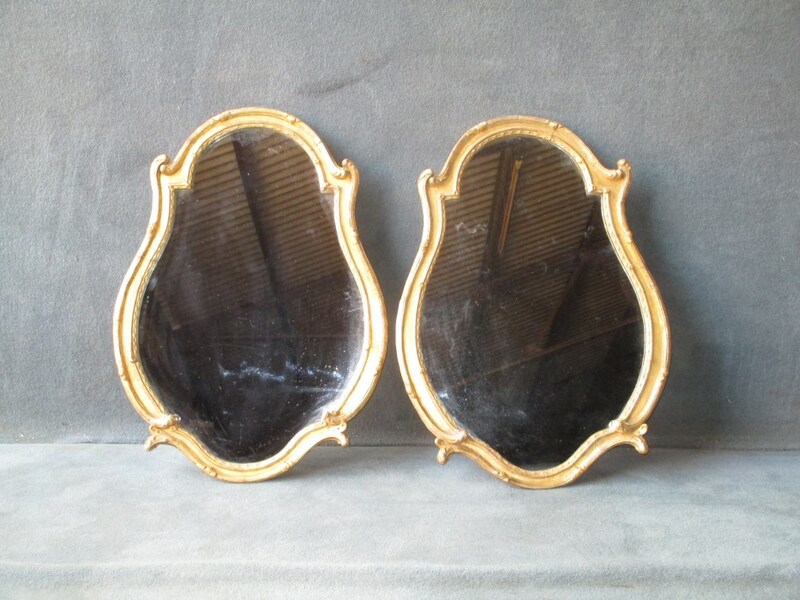 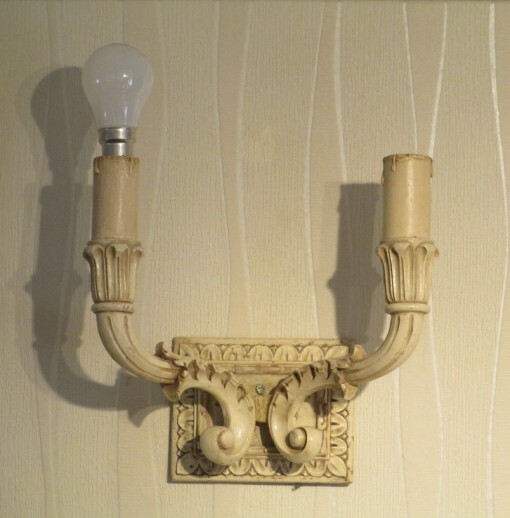 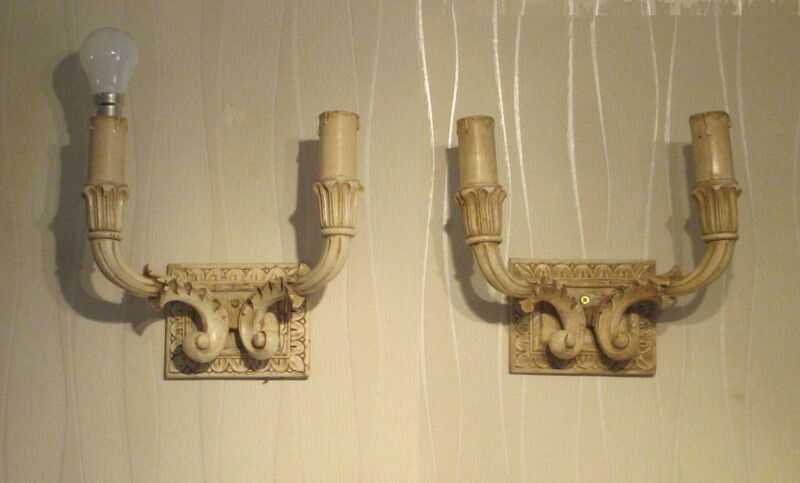 A pair of original French, gilded pelmets, with a centre bow to each. 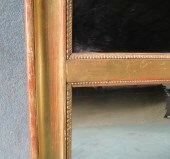 These are different lengths at present but the longer one could be re-mitred to them into a matching pair. 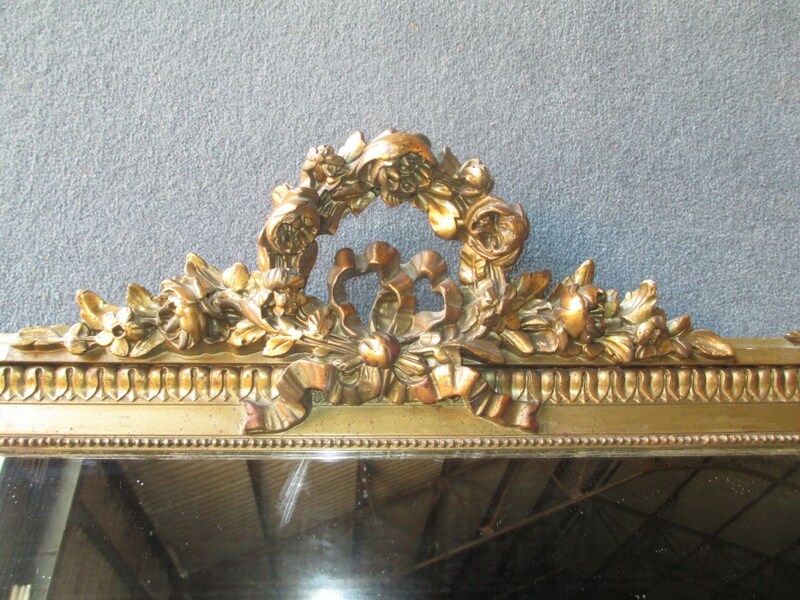 A Continental gilt overmantle with ornate floral corners at the top and centre wreath with a bow. Original mirror with some slight spotting. 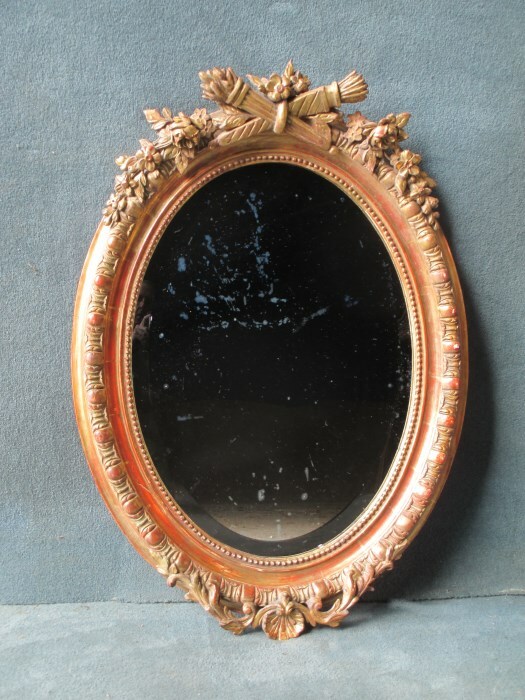 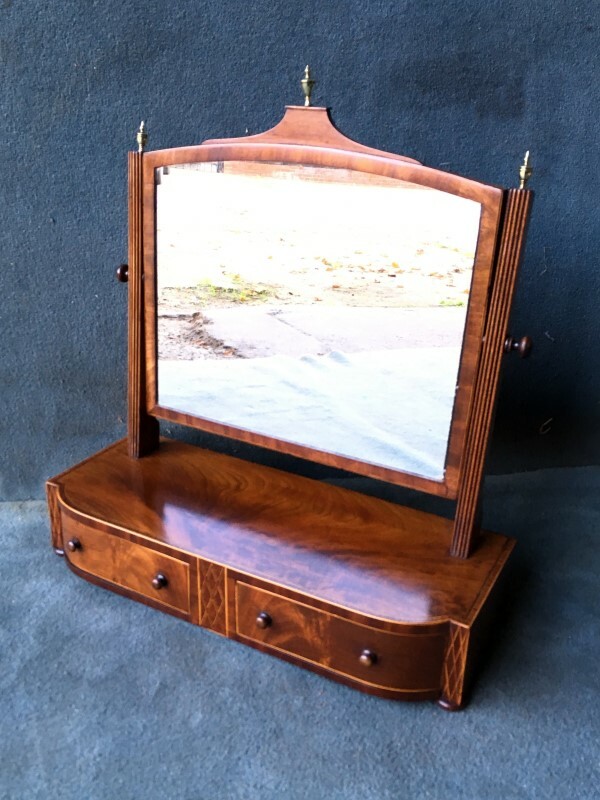 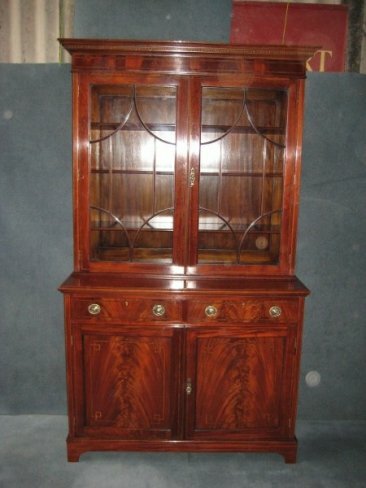 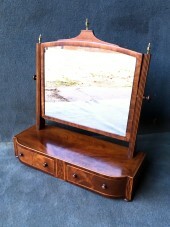 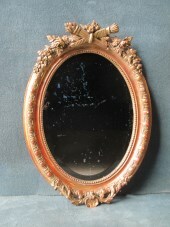 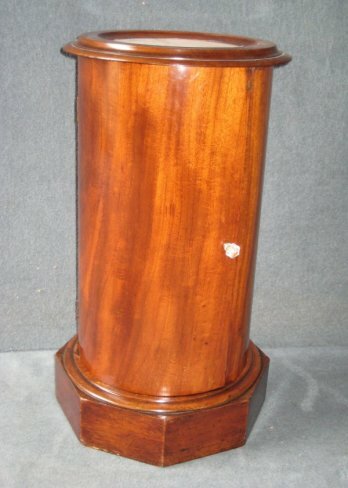 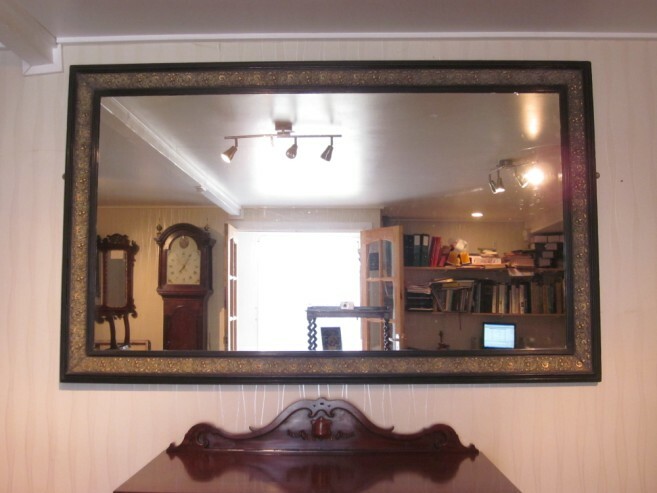 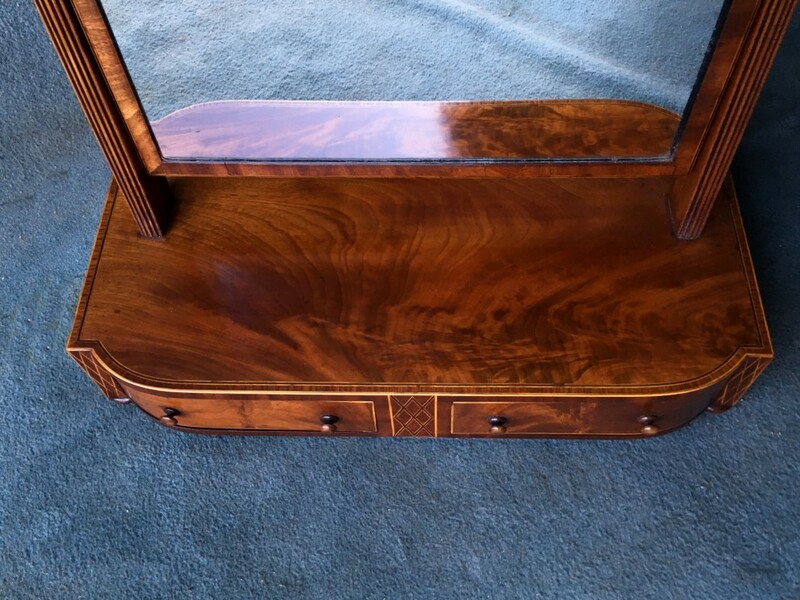 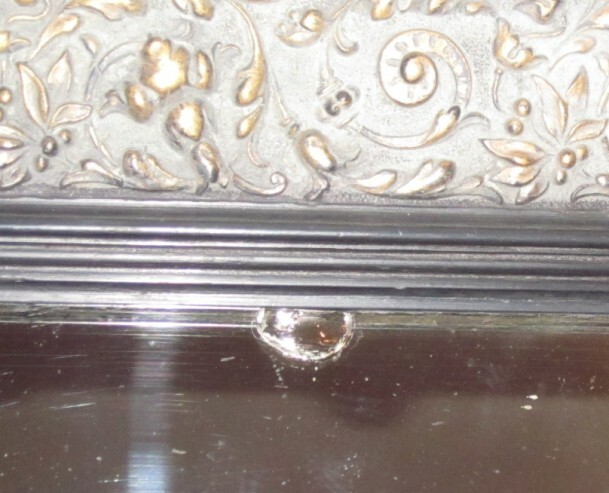 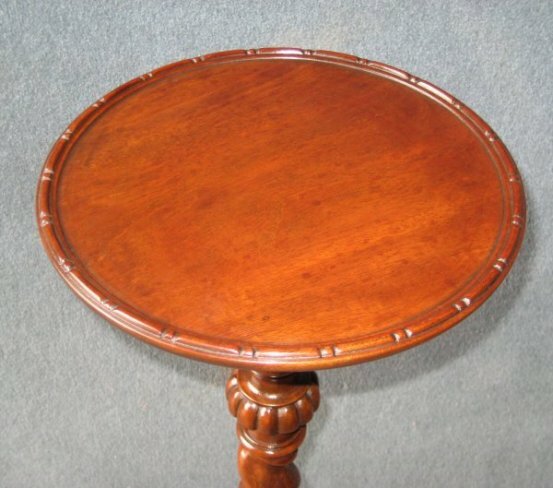 A French dome top mirror, with a highly burnished sight edge and finely decorated outside. 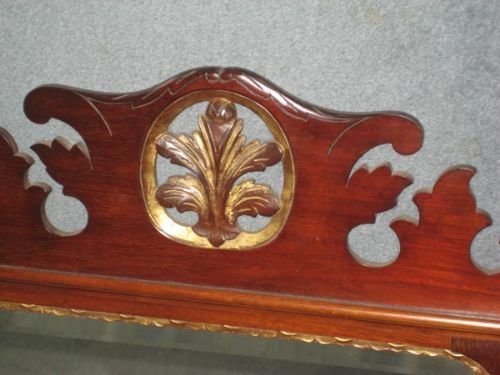 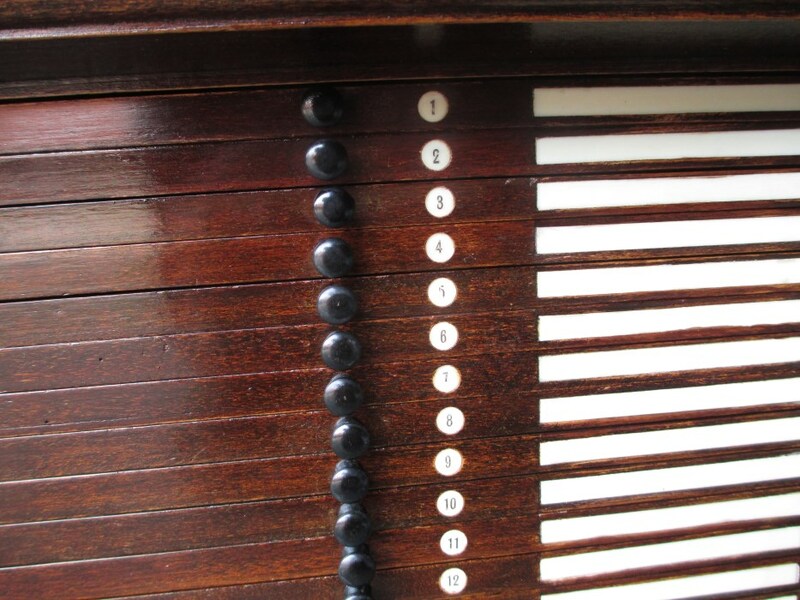 To the top there is a bold crest with a foliate carved surround. 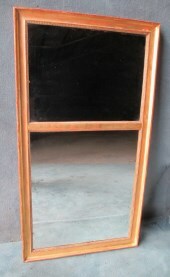 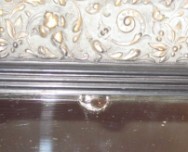 The mirror retains its original back and plate glass.